Robert Aickman (1914-1981) has come to be recognized as among the leading writers of weird fiction in the second half of the twentieth century. His subtle, allusive tales, written in prose of impeccable precision and mellifluousness, have influenced an array of writers who followed in his wake, notably Ramsey Campbell, T. E. D. Klein, and Peter Straub. The two volume collection of Aickman's 48 stories is enclosed in a handsome slipcase with ribbon marker and a dozen full page illustrations by John Kenn Mortensen, a fine introduction by S. T. Joshi, and an essay on Aickman by T.E.D. Klein. The complete contents are shown below. The edition is limited to 300 signed and numbered copies, and the book is signed by S. T. Joshi, artist John Kenn Mortensen, with a special facsimile signature by Robert Aickman. Limited to 300 copies, each signed by S.T. 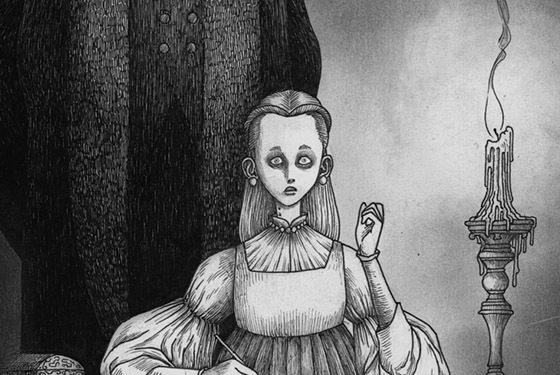 Joshi, John Kenn Mortensen, with a facsimile signature by Robert Aickman. Oversize at 7½ × 11 inches. New introduction by S. T. Joshi . Two handsome volumes in a single slipcase. Slipcase, ribbon marker, head and tail bands, full color wraparound dustjacket art.